Looking to buy a car without having your wallet eaten? These cheap new cars are the lowest priced starting MSRP of any new car on the lot today. Whether you're a recently school graduate or just shopping on a tight budget, get the security of a warranty and the reassurance of being the first owner for the price of a used car. Check out the ten lowest priced new cars on LotPro.com below. For those truly concerned about finding the cheapest new cars possible, the Nissan Versa remains the undisputed king. Priced at $1500 under its closest competition in a vehicle class which is judged by the differences in price by hundreds of dollars it is the most affordable new car on the road today. Although its starting MSRP means its no longer among the true cars under 10000 with the right rebates and incentives you can still walk out with one for less then ten grand. There is good news however. 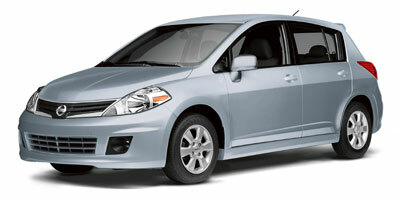 Currently Nissan has $500 cash rebates and low financing available for the Versa. Also are still some 2011 cars under 10000 if you are able to locate any local dealers with them still in stock. After the Versa however the price takes a step up. While all these new cars are under 15000, none of them come in at under 12000 let alone the price of the Versa. There are at least some advantages for more money even among these new cars under 15000 and that's at the pump. Nine of the ten cars get 30 MPG combined and all do at least that much on the highway. Only the Suzuki SX4 falls short to the competition and all are likely an improvement compared to whatever used cars you may find on the lot. The Kia Rio and Hyundai Accent get the best mileage out of all these 30 MPG cars though buying the Accent will save you nearly a grand on top of that. Nearly all the top ten are close enough in mileage to make the fuel cost a wash however with the exception of the Suzuki SX4, the Kia Soul, and Mazda2. The one wildcard though in all of this is the monthly deals that automakers throw around. If you are having trouble deciding, there are several financing options available recently that could easily make the decision much easier. Check them out before making a final decision and be sure to take your top two on a test drive so your completely happy with your buy.